KRÄMER+GREBE quickly discovered that in most cases the best employees are obtained from in-house, company-based operational training. Specialists are trained here whose skills then enable them to achieve optimal results in mould and tool making. The training is designed with the intention of creating prospects for both parties. This is the best way to obtain and retain a competent body of specialist employees, which is a necessary requirement in this industry for guaranteeing high-quality performance. 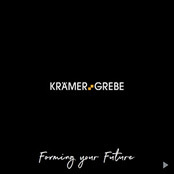 Apprentices at KRÄMER+GREBE are traditionally also long-standing specialists for the company, which then frequently results in continued employment and company loyalty. Why not start your working life with us and experience a fascinating, qualified apprenticeship in a modern enterprise with career and advanced training opportunities?